Lisa Messenger is the CEO of The Messenger Group, as well as founder and editor-in-chief of Collective Hub™, an entrepreneurial lifestyle magazine distributed in over thirty-seven countries with a mandate to disrupt, challenge, and inspire. In addition, she has worked globally in events, sponsorship, marketing, PR, and publishing. Lisa has authored and coauthored over a dozen books and has become an authority in the start-up scene. Adding to her collection of writing achievements, Lisa has been invited as a regular contributor for local and international publications including Huffington Post and the prestigious Australian newspaper Sydney Morning Herald. 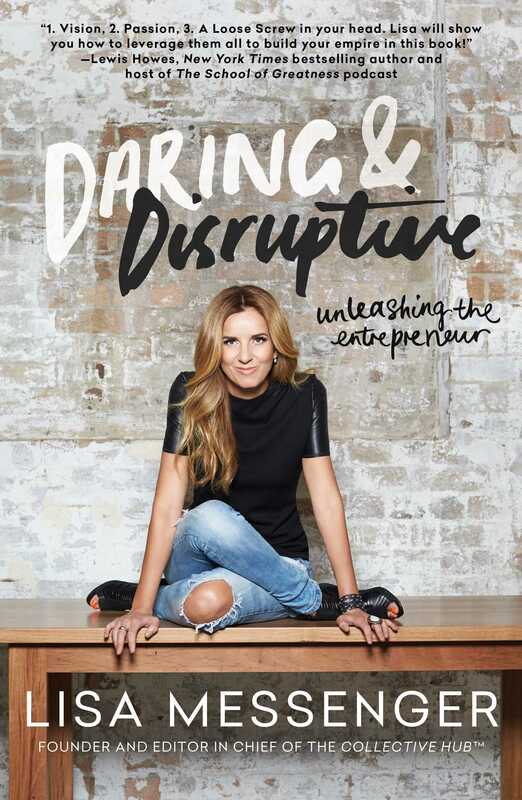 A fast read—and an inspirational one: Australian serial entrepreneur and author (Happiness Is, 2009) Messenger tells it like it is, offering a path to success that involves not only hard work but also guts and no small amount of determination. And she inspires by simply telling her own story, following a bare-bones outline of 10 actions. From “believe in yourself” (sound familiar?) to “do good,” Messenger peppers every overpromoted cliché with real stories. Like the time she dreamed about starting a publishing empire while atop a Marrakesh roof. Or how she overcame the fear of public speaking. Even her brand tips—connections are king; secure all your names as fast as you can—have relevance in today’s insanely busy work world. And it all ends with this: “Make money so you can make a difference.” Simple advice, well-put.